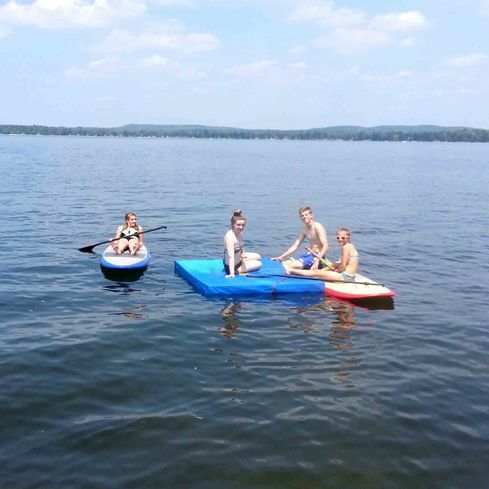 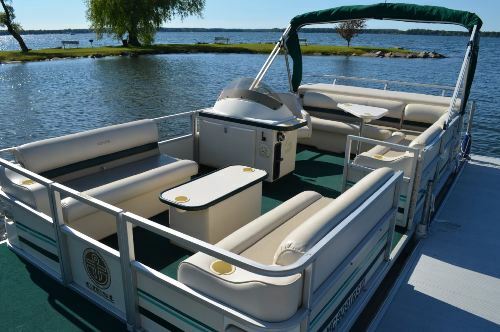 Enjoy a leisurely cruise around Bear Lake on our late model Crest Pontoon Boat. 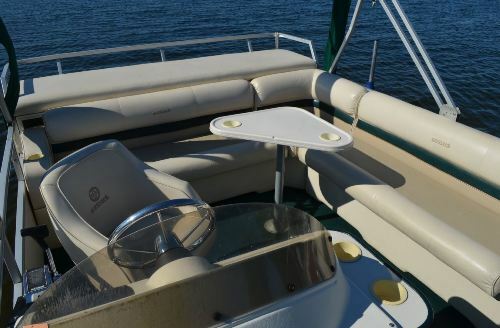 Ride in comfort with seating for up to 11 people, with tables and drink holders near all seating areas. 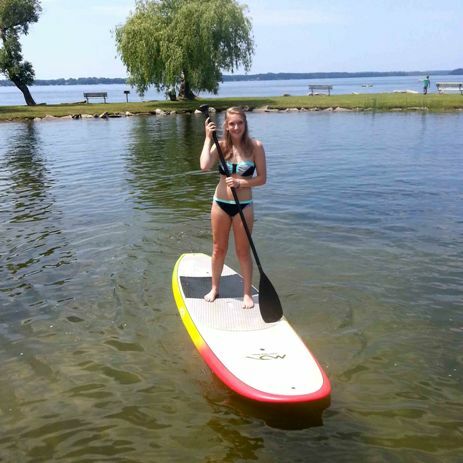 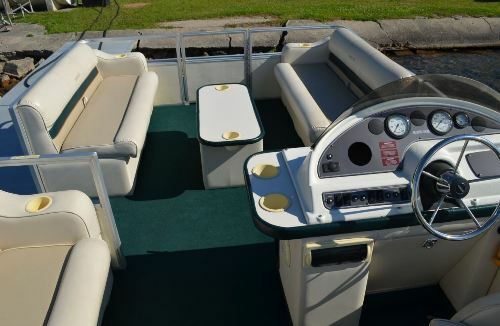 Fish, swim off the bow or just cruise all day. 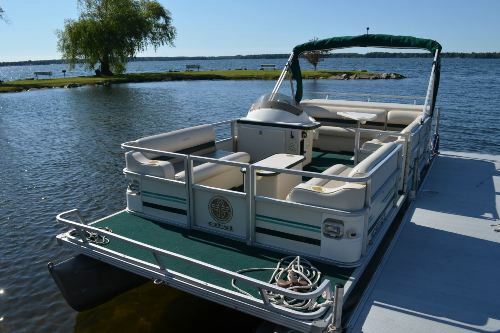 This pontoon boat is great on fuel, and the outboard provides plenty of power to get you where you are going. 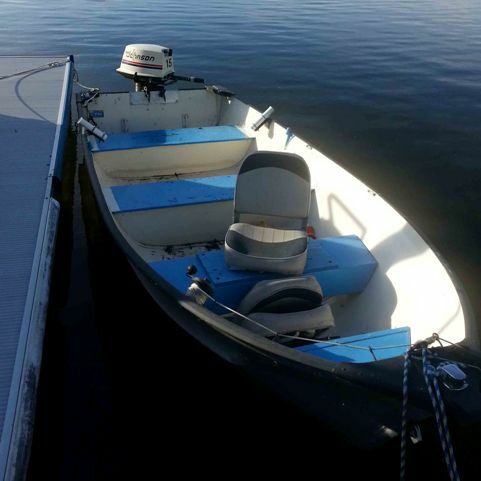 Hourly, daily and weekly rates. 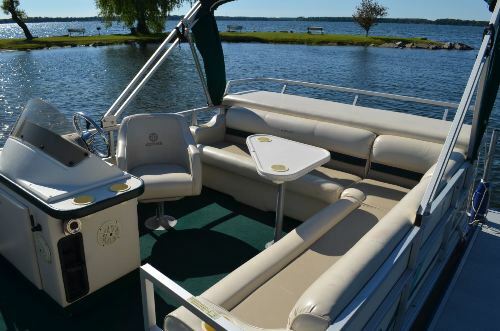 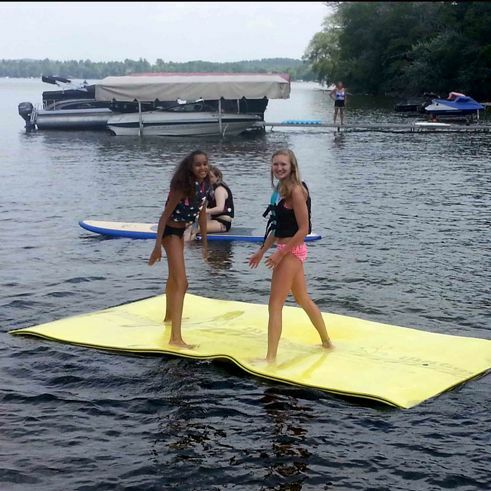 Reserve this Pontoon Boat now, before this popular model is booked for the whole summer! 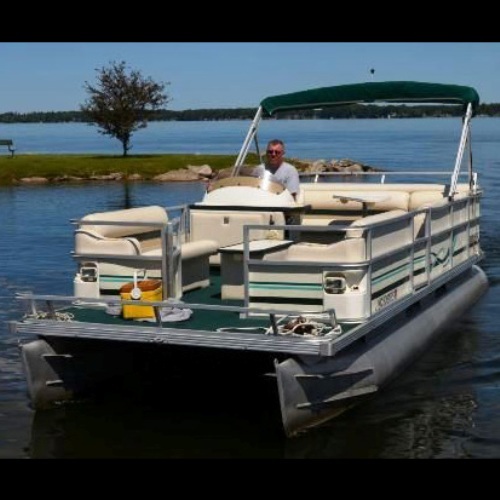 Bear Lake Marine offers pontoon boat rentals by the hour, week or day. 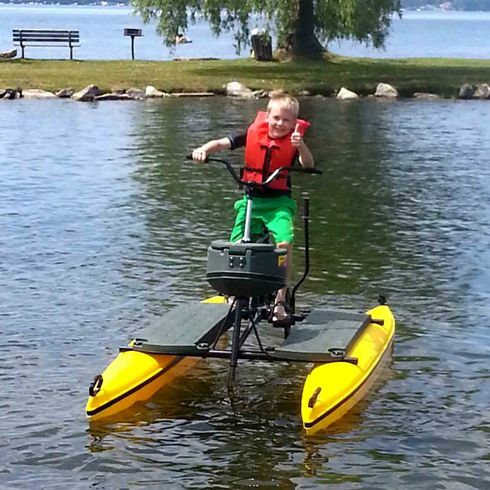 Cruise Bear Lake or trailer to a nearby lake.